It’s a measure of how out-of-touch they are that the neocons are still arguing for an invasion of Iran. Yet a paper recently published by the Brooking Institute actually argues the case for just such a course of action. It’s safe to say that America cannot do this alone but as is pointed out below only Israel and Saudi Arabia would be inclined to assist. Their participation alone would likely alienate many other potential supporters. Frankly we just cannot see it happening, it simply defies reason. However, with Trump in the White House and the influence of Washington’s powerful Zionist lobby anything can happen. Another wonderful ‘strategy paper’ from the friendly folks who brought you Iraq, Libya, and Syria – this time via the Brookings Institute. The paper, entitled “Which Path to Persia” looks at the options available to the United States as it deals with Iran and its supposed threat to Middle East stability, peace, and tranquility. The paper looks at two broad types of options; the persuasion approach, the engagement approach, and the military approach. In this posting, I will take a look at what the authors of the study recommend for the military options given that they believe that Iran will be less than willing to co-operate with either the persuasion or engagement options. Obviously, as was the case in both Iraq and Afghanistan, a military invasion is the recommended course of action. Let’s look at the authors’ recommendations for an invasion. The authors suggest that the only way to eliminate all of the problems that Washington has with the current Iranian regime (i.e. support for terrorism, nuclearization, creating instability across the region) is to use the military invasion option. The goal of invasion would be to remove the current government, curse the military and put an end to its nuclear program. 3.) 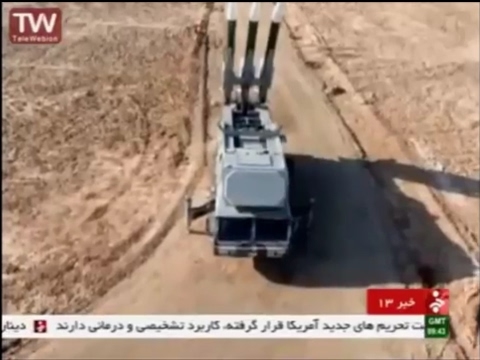 Iran’s military is far more advanced and well equipped than Iraq’s was at the time of the invasion in 2003. There were roughly 400,000 to 500,000 members of Iraq’s armed forces in 2003 compared to 934,000 in Iran’s armed forces. The authors note that the most compelling reason to invade Iran sooner rather than later is that Iran’s agenda could become much more difficult to deter once it has the capability to develop a nuclear weapon. As well, the nation’s wealth of both oil and natural gas mean that the United States and any partner invasion forces would have to ensure that the country does not slide into post-invasion chaos. If the invasion option was the option of choice, it would take at least several months to move sufficient forces into the theatre and from one to six months to conduct the invasion. Given Iran’s larger geographic area, larger population and better military preparedness, the United States can pretty much assure itself that the invasion of Iran would be a far larger project than the Iraq invasion of 2003. 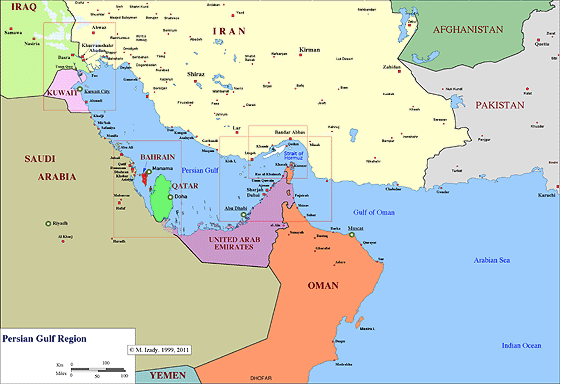 As well, the American bases throughout the Persian Gulf region in Kuwait, Bahrain, and Qatar that were key during the Iraq operations may well not be available unless Iran were to provoke hostilities. The initial invasion would require a significant contingent of Marines, requiring the use of two to four regimental combat teams or between 15,000 and 30,000 Marines to seize a beachhead and major port along the Iranian coastline to defeat Iran’s defensive positions. The challenges of terrain would require large numbers of airmobile forces including the brigades of the 101st Air Assault Division, the 82nd Airborne Division, and the 173rd Airborne Brigade. “As in both Iraq and Afghanistan, post-invasion reconstruction would be the longest (and possibly the bloodiest) part of the whole endeavor. if it were handled very well, applying all of the lessons learned in Iraq and Afghanistan, it might require only a few years of major military and financial commitments, followed by a significant diminution of U.S. presence and aid thereafter. What would it take to provoke an invasion and would the United States require provocation to justify an invasion of Iran? If the Iranians provoke an attack, it will make it far easier for the Americans to justify invading to the international and domestic communities. Given the history between the United States and Iran, it is seen to be unlikely that Iran would be responsible for or take credit for an Iranian version of the 9/11 attack. Most European, Asian and Middle Eastern nations and their people are against any American-led military invasion of Iran, save two important American allies in the region; Saudi Arabia and Israel. While this invasion scenario is mere conjecture, it is interesting to see that one of Washington’s largest and most influential think tanks, the Brookings Institution, has provided the Trump Administration with a roadmap to a military solution to the “Iranian problem”, a solution that must have the military-industrial-intelligence community rubbing their collective hands with glee. Keeping in mind that the United States is largely responsible for the current situation in Iran given its involvement in removing the democratically elected Prime Minister Mossadegh back in 1953 and the installation of his replacement, the west-leaning Mohammad Reza Shah who ended up being turfed out of Iran by his own countrymen, one might almost be able to draw a straight line between Washington and the current unrest in Iran and the nation’s strong anti-American stance. In another posting, I will further examine this interesting report from the Brookings Institution which provides us with a glimpse into what may lie ahead for Iran.